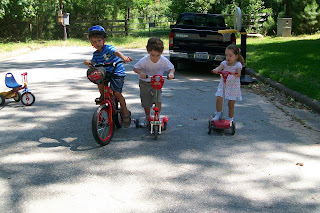 We recently had our friends Cameron and Anna over for a few hours while their mom and dad were busily packing and moving. 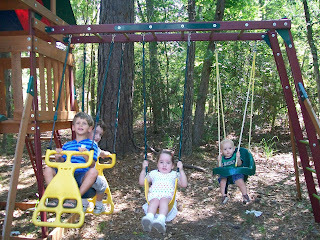 Dawson was thrilled to have friends over and all the kids had fun playing together. Get ready, get set, go! All lined up on their "vehicles" outside. 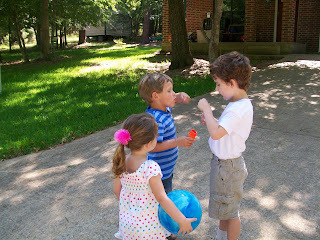 Dawson and Cameron blowing bubbles while Anna looks on. 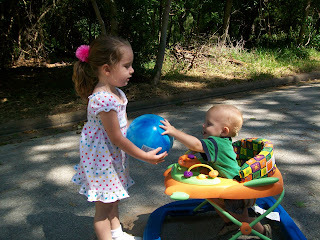 Brady was so excited when he saw Anna playing with a ball. She was nice enough to bring it over to show him. 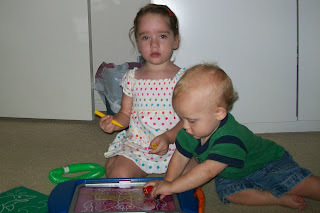 Brady checking out Anna's coloring. 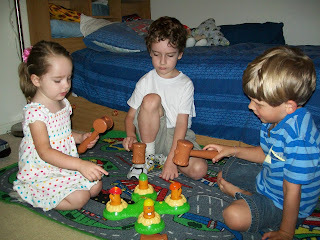 Playing a game of Whack-A-Mole. 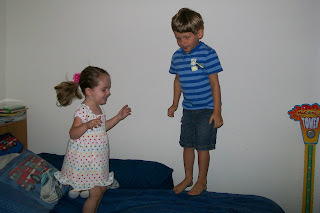 Jumping on the bed!! 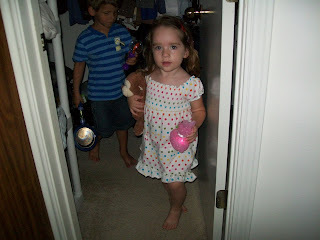 Something that's not permitted at Cameron and Anna's house (and probably most houses), so it was a special treat for them to get to jump on Dawson's bed. 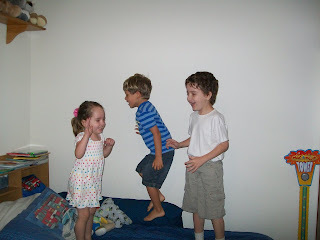 Three little kids jumping on the bed . . . no one fell off and bumped their head. 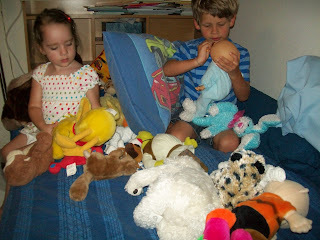 Dawson has accumulated many stuffed animals. 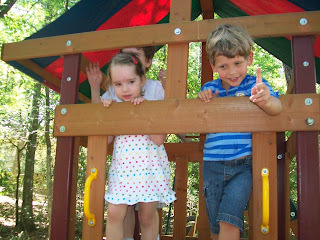 He and Anna enjoyed having me bury them in the animals and later had fun playing with all of them. 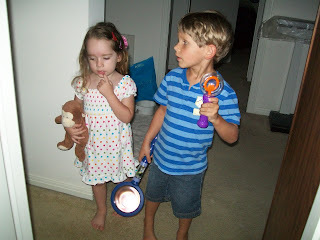 They were pretending to be detectives and were all set with their magnifying glass and cool light. Anna found what they were searching for - a light-up bunny.